There’s a certain character most grandmothers have. It’s not knitting needles, cat hair covered sweaters or bingo, as the general stereotypes go. It’s attitude: stoic, outspoken and fiercely protective. These are women who have had the privilege and responsibility of parenting over generations, and many are not only the matriarch in their own families, but for whole communities. Aunty Hazel Collins is one such grandmother. 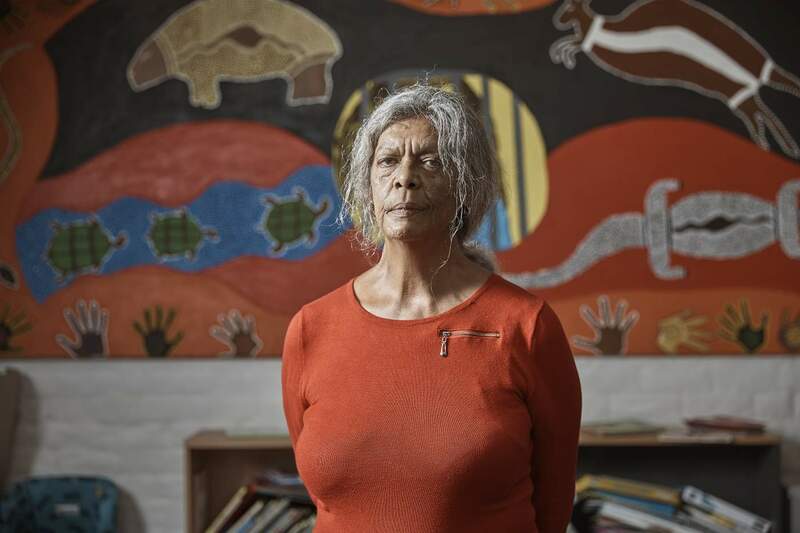 A woman who founded the network, Grandmothers Against Removals (GMAR), Hazel is fighting against the systematic removal of Aboriginal children from their families and calling out what she calls the mispractice of child welfare officials. GMAR was founded in Gunnedah, NSW, after Hazel’s daughter, Helen Eason (pictured) had her baby son (Hazel’s grandson) removed by Department of Family and Community Services (FACS). Baby Tyson was Helen’s forth child put into care, but despite her past challenges with drug addiction, Helen says that there was no risk in Tyson’s instance. Hazel also criticises the process of Tyson’s removal. She says that the FACS provided the family with no reasonable justification as to why they were putting her grandson into care. The family were told there were “significant concerns”, but when asked for specificity, officials said that they didn’t have to elaborate on their decision - and they didn’t. In January 2014, baby Tyson was removed from the Eason family. What left Hazel further frustrated was that her own request to care for Tyson was dismissed. She was deemed “unsuitable” with no explanation. The same judgement was passed when considering other potential kinship carers. For Hazel, it became very clear that children weren’t, at the very least, even being situated in their own communities, and this is now a significant driving force behind the GMAR mission. “In Helen’s case, I put my hand up in the first five minutes of those children being put into a care and I was deemed unsuitable,” Aunty Hazel says. “They don’t only take the children from the parents as such, they take them from the whole family, and the community. But Hazel’s not doing it alone. GMAR has become a national network of families. Those who have been directly affcted by child removals. Across the country, they host rallies, marches and even healing camps in order to reduce the high numbers of Aboriginal children removed from both, their immediate and extended families. Gomeroi and Biripi woman, mother of five and grandmother of two, Helen Eason. Helen has had four children removed. Her grandson is currently in out-of-home-care. Created by local women for the good of their communities, GMAR is an example of this years’ United Nations International Women’s Day theme: The Time Is Now: rural and urban activists transforming women’s lives. 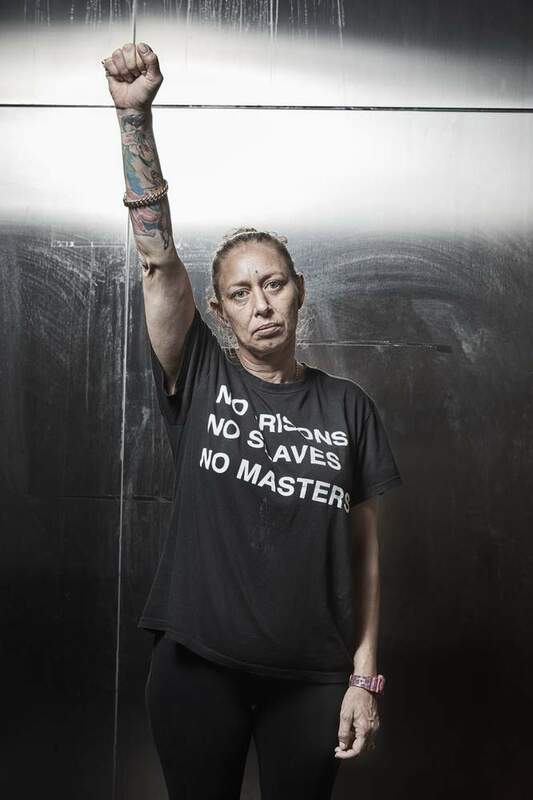 No matter what stage of life a woman is at, GMAR shows it’s never too late to take action and create change. Four years on, that vision has become a reality. GMAR has expanded nationally, with local grassroots chapters set up and working across the country. 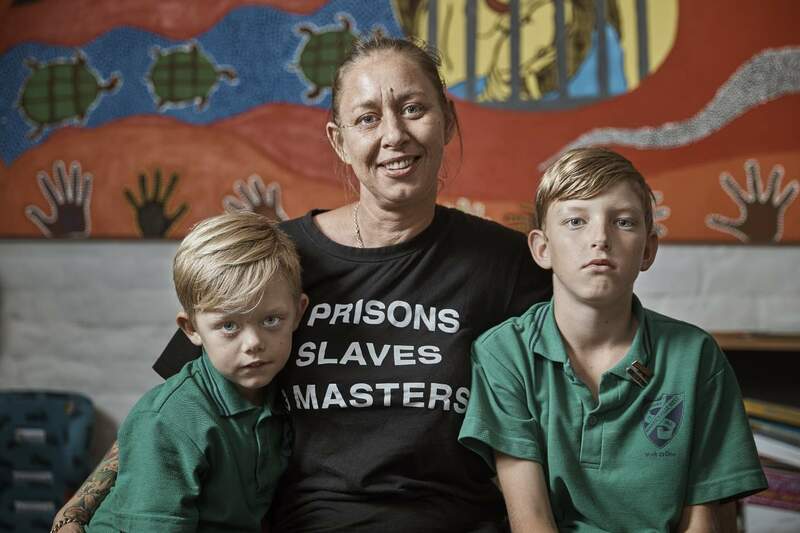 The Sydney chapter was formed in 2015 with the help of influential elder, Aunty Jenny Munro (pictured) who has long been involved in child welfare matters. GMAR Sydney meets up regularly at the Mudgin-Gal Women’s Centre in the Inner City, and rallies when situations arise. Last year, the GMAR Sydney were successful in the reinstatement of two children to Wiradjuri mothers, Bianca and Laura Lyons. However, there are challenges, and the group is finding that some mothers in the community avoid doing public demonstrations in fear that the department will target them. 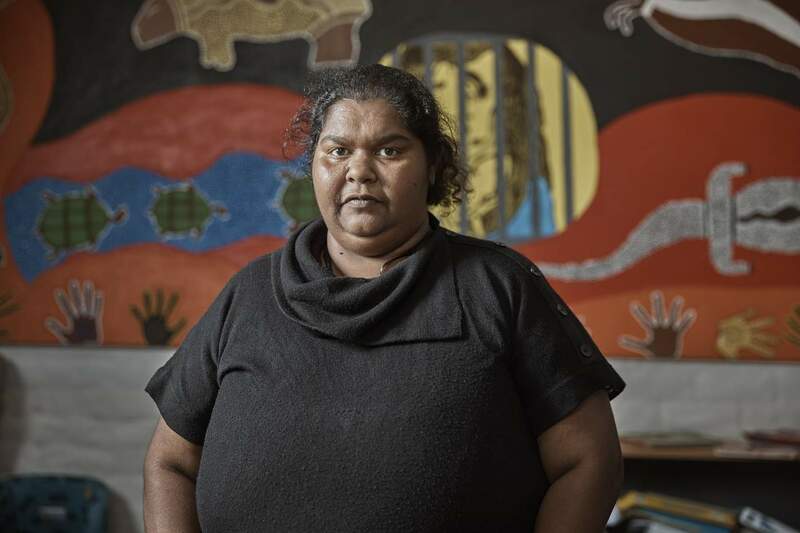 Helen says she puts confidence in her elders and feels safe taking direction from women like Aunty Jenny and her mother. “That’s who I look up to, those who have been doing activism for a long time. It’s about going to the ones that have been there and have been doing great stuff. We have a lot of communication with each other,” Helen says. Like Helen, mother of four Kaylene, who was also affected by child removal, has been helped by her mother’s guidance. Aunty Karen, Kaylene’s mum, was one of the original GMAR members in 2014. “When I first had my kids taken off me in 2016, we didn’t know where to go or where to get the help. So it was lucky that mum knew all the people down here, all the Grandmothers,” Kaylene says. “We were able to get the right support. I think the thing is just getting the right support when you’re fighting’ for the children. Kaylene is back with her daughters now, and is an active member of GMAR Sydney. However, the gruelling process of child removal came at a cost which still impacts her family. During the 12 months that Kaylene’s daughters were in care an order was placed on her unborn child also — Meaning the child would be taken the moment it was born. But Kaylene tragically had a stillbirth, a daughter, at 35 weeks. Kuku Yalanji woman and mother of four, Kaylene Shillingsworth. Kaylene has had two children removed, during which she suffered a stillbirth. Today, GMAR has reached milestones in order to protect families like Kaylene’s. 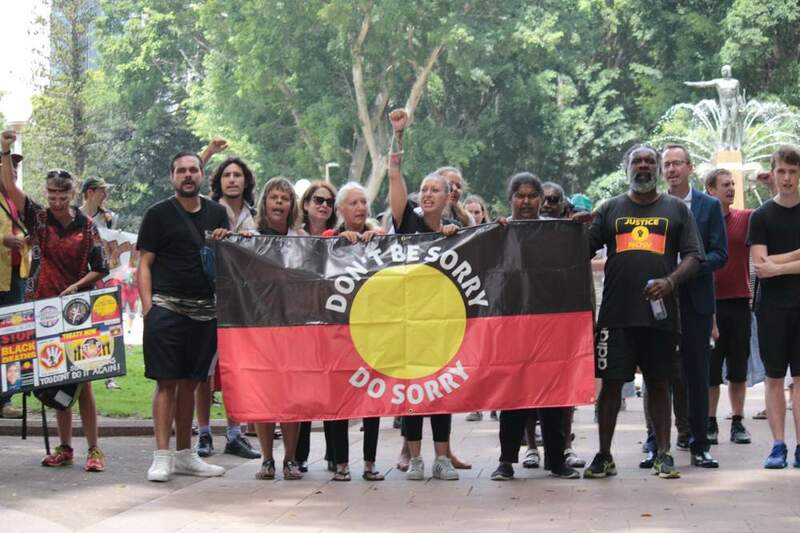 Following their protests, the group has approached the NSW Department of Family and Community Services to advocate for greater community involvement in decision making to reduce the numbers of Aboriginal children removed from families. Through this, they received a commitment from the NSW Minister for Family and Community Services, Brad Hazzard, to reduce the number of children in care. Now, FACS works in partnership with GMAR to implement the Guiding Principles for Strengthening the Participation of Local Aboriginal Community in Child Protection Decision Making which were largely developed by GMAR. The GMAR NSW network, including its Sydney Chapter, all work to ensure that the Guiding Principles are adhered to and that promises from the Minister are upheld. Helen Eason with her sons Tyson (L) and Noah (R). Both Tyson and Noah have been in care, and now reinstated back with their mum. However, Helen says that GMAR is not about going in and liaising with the department, it’s about giving community control over their own affairs. “We’re educating whilst we’re out here on the ground and through our meetings and protests because we’re calling the same demands, we’re repeating ourselves. It’s not about us going in there and educating a department that has failed us, and continues to fail us, this is about giving control back to our community. Giving them back a voice, and getting some of that power back,” she says. “We know who’s the boss in the family - it’s the women who drive everything. And whilst we all feel empowered by each other - us women - our men need to feel empowered too. It’s very demeaning for a dad, to stand there and not be able to protect his children from being removed, and not be able to protect his wife. And it takes away the warrior within,” Aunty Hazel says. GMAR Sydney held their last rally on 13 February, as they have every year since they were first established. 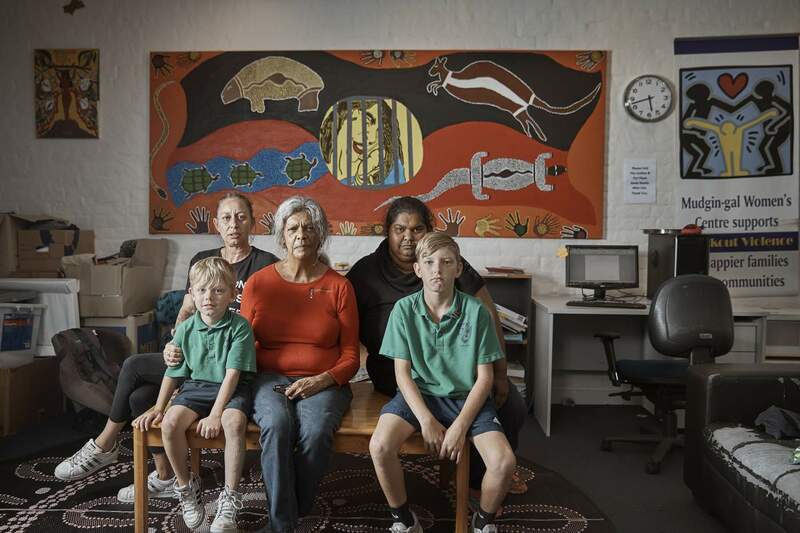 However, this year had more impact, being the 10th anniversary of the National Apology, where figures of Aboriginal children in out-of-home care have significantly increased in the years since. An estimated 17,664 Aboriginal and Torres Strait Islander children were living in out-of-home care in 2017, compared with 9,070 a decade ago. Helen admits it’s challenging heading out and holding your head up whilst being reminded of past traumas. But despite her hardships, she likes to stand as living proof that with the right support, change can happen. “I think we will suffer with this pain and trauma for the rest of our lives. It’s something that will never go because we are mums, and it’s the guilt that we live with for the suffering of our children. But what empowers me is to show other parents, grandparents, aunts, uncles, no matter what we’ve done or where we’ve come from, with the right support, we can do this. 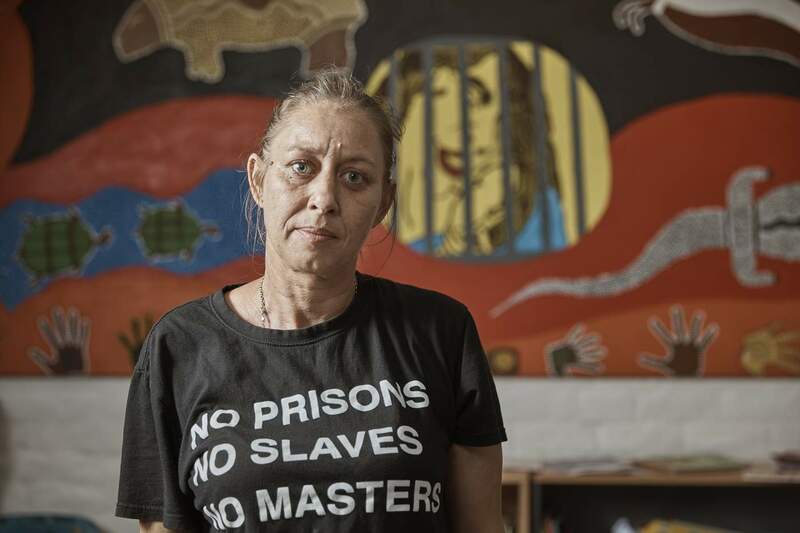 “I’m going to challenge your power, and I ain’t going nowhere,” says Helen Eason. 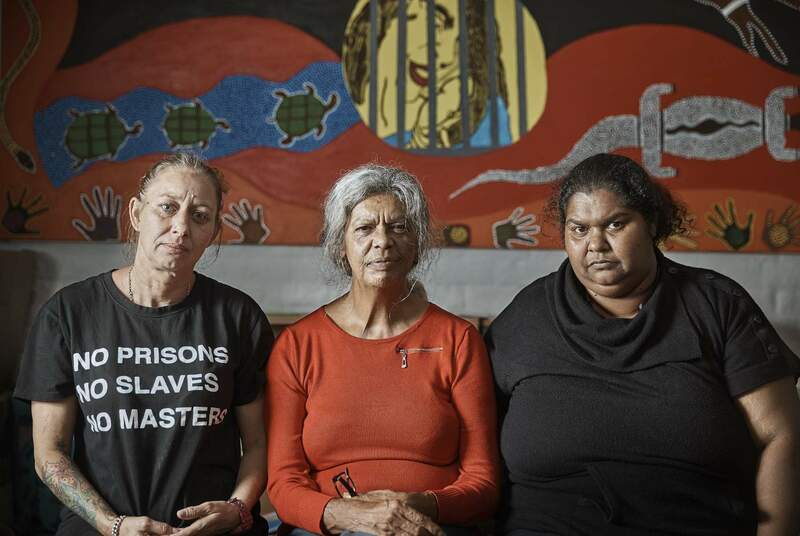 Grandmothers Against Removals was awarded the Aboriginal Justice Award in 2016. Sophie Verass is a writer and digital producer for NITV.